I love Will Smith. His movies are awesome. His acting is great and you know something? He’s an inspiring dude. He’s not just some celebrity. He’s a goldmine of inspiration and intelligence. 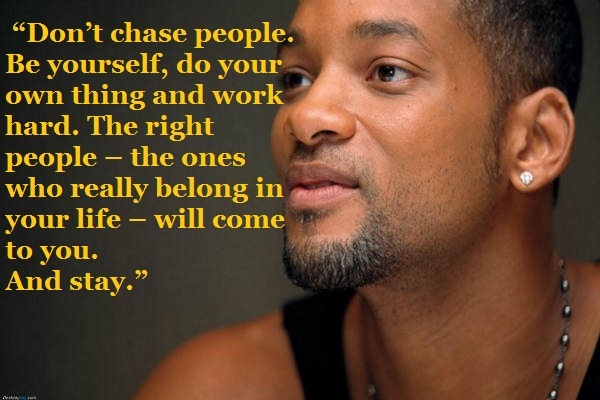 Here are 9 quotes by Will Smith to inspire you to live life your own way. 08. “The only thing that I see that is distinctly different about me is, I am not afraid to die on a treadmill. You might have more talent than me, you might be smarter than me. But if we get on the treadmill together, there’s two things. 09. “If you’re not making someone’s life better, you’re wasting your time. Author Bio: Alden Tan keeps it real at his blog and writes about motivation in unconventional ways. His two main passions are Bboying and writing. This post was republished from pickthebrain.com. You can find the original post here.